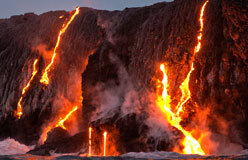 On January 18, 1778, the first non-Polynesians saw the Hawaiian Islands. 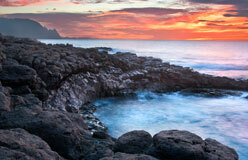 Led by British Captain James Cook, two large ships approached Kaua`i. Stopping to get supplies, the sailors were given a warm aloha welcome. 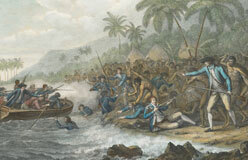 The second time Cook visited, fighting broke out between Hawaiians and his men. The captain was clubbed to death. Hawai`i was now on the map, and the islands became a popular stop for trade ships on the journey between America and Asia. 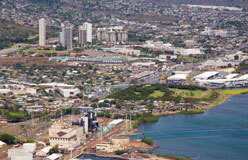 Several nations thought Hawai`i would be good to own. Its tropical location and long growing season made it valuable. 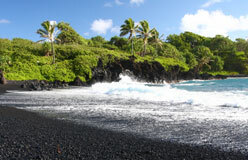 Foreign greed would eventually rob the Hawaiians of their land. 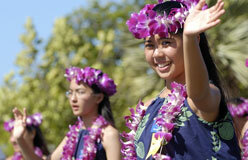 But first, western diseases took a huge toll, because Hawaiians had no immunity to them. 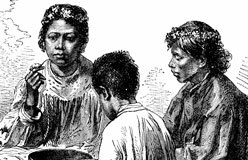 When Cook arrived, there were about 300,000 Hawaiians. By 1853, there were fewer than 70,000.